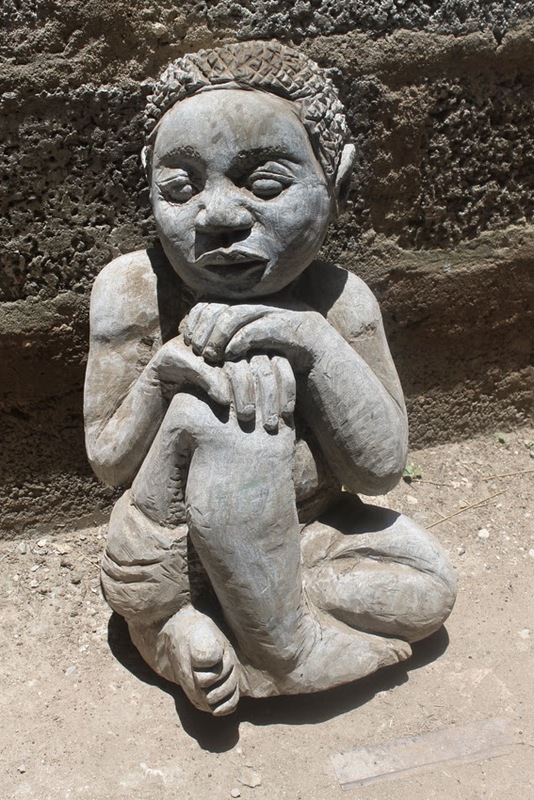 In case you have not been to see Due to Popular Demand, the ongoing two-man exhibition by visual arts luminaries Lawrence Yombwe of Livingstone and Adam Mwansa of Luanshya at the Zebra Crossings Café, Ababa House, Lusaka, the display is still on until 3 June. 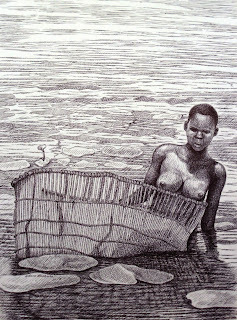 Of course the two need no introduction for followers of the Zambian art scene, but the Luanshya-based pen and ink virtuoso Mwansa has been a bit of a rarity on the Lusaka Art scene and it is safe to say that this is perhaps the first time he has had so much work in a single show. What is exciting about his latest body of work is that, instead of his trademark black and white pen and ink drawings, he has outdone himself, surprised his collectors and churned out a whole array of delicate watercolours and vivid abstract acrylic on canvas paintings. “But I constantly learn something new each time I attend an exhibition or see any new art style. Ideas learned through observation are vital when it comes to switching between art forms or techniques. The art teaching career is another factor that has made it easy for me to manage this shift, because it exposed me to the learning and understanding of various ways of making art. This knowledge is essential when presenting art lessons and coaching students,” adds the former school teacher who taught art for in Botswana government schools for 10 years, only returning to settle in his home town Luanshya in 2006. 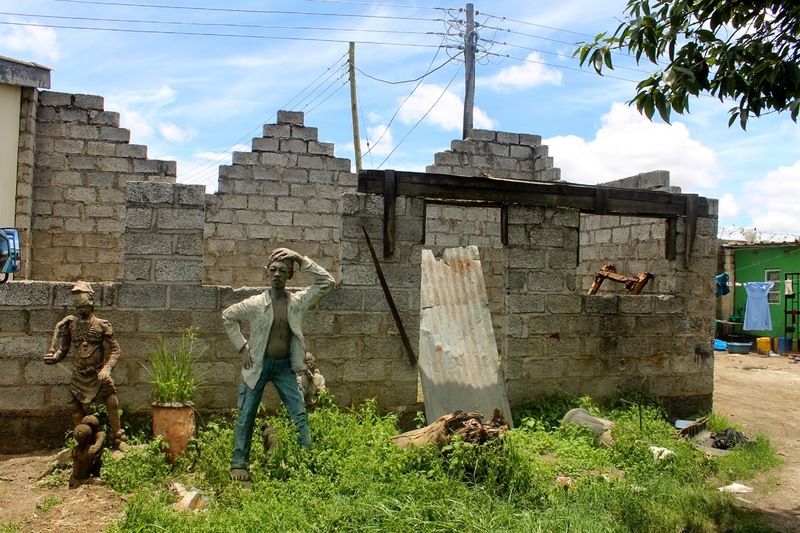 Although returned to Luanshya, he complains that the small mining town has no art activity. He attributes this to the observation that there are not many practicing artists in the small mining town and that those who make art work in isolation, concentrating mostly on outdoor signage where they are assured of income for every piece they produce. Additionally, it is also difficult to sell art because there are very few that appreciate it, most people find it unreasonably expensive. He explains however, that the larger cities on the Copper belt are slightly more active. “But looking at Ndola and Kitwe, one would say that the visual arts have made a mark in these two towns. 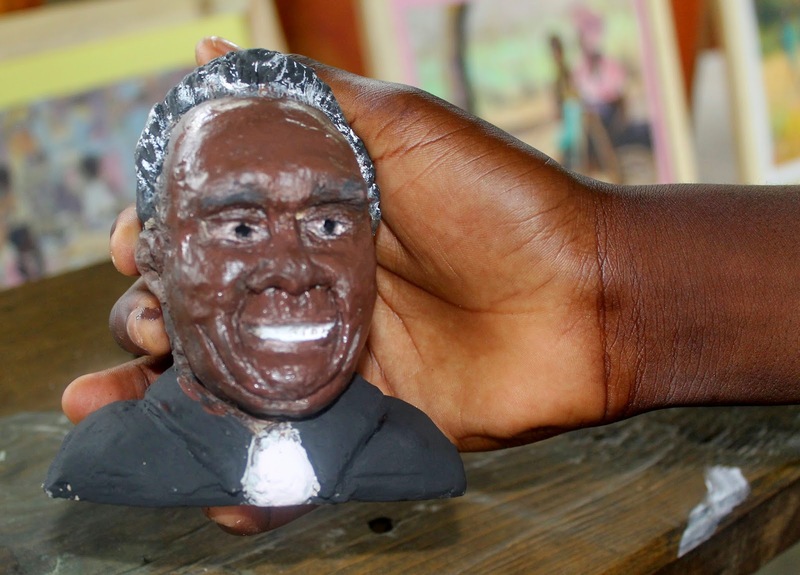 Ndola can boast of the colourful roadside Twapya Art and Craft market, where apart from just enjoying viewing the art works one is afforded a chance to speak with the artists and crafts people at work. The art outlet right in the central part of Kitwe is at Chisokone market, this is another place where art sales flourish, and various arts and crafts are on display. I really get inspired each time I visit these two places,” he adds. 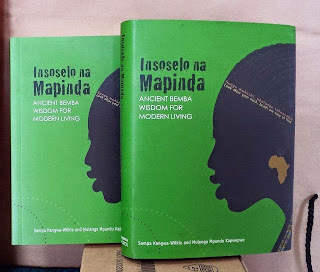 Despite humble beginnings, like many artists, Mwansa’s talent has presented him the chance to see the world, in 1993 he took up a studio residency at the Wimbledon School of Art, London, England and a year later he studied graphic design at The Hague in the Netherlands. “My journey in art began at Luwingu Secondary School in the Northern Province in 1978. When I won a calendar prize through the art competition, organised by Anglo-American Corporation. Since that time I realised that I was an artist. Later I took up the Art Teacher’s training at Evelyn Hone College from 1984 to 1986 and I have been practicing as an artist and a teacher of art, though at the moment I just do part time teaching,” he explains. He reveals that he has been influenced by many artists over the years and he still gets inspired by artists young and old. 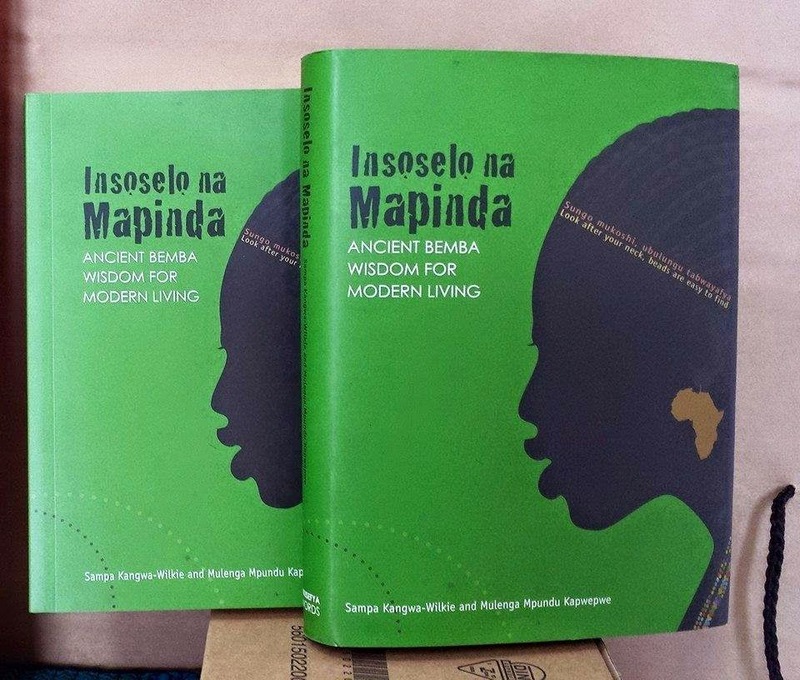 “To mention a few among those who influenced me when I was beginning I would proudly pick the following names from the Zambian scene, Gabriel Ellison, Cynthia Zukas, Henry Tayali, my classmate and friend Godfrey Setti and Shadreck Simukanga. From the group of the old masters I could mention, Michelangelo, Rembrandt, Vincent van Gogh and Claude Monet,” he adds. 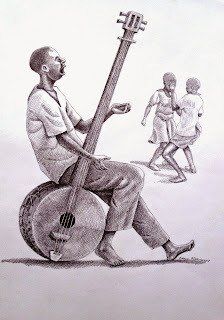 Among the younger crop of artists he holds Aubrey Chali, Mulenga, David Makala, Gladys Kalichini, Mapopa Manda, Owen Shikabeta, Chifuchi Kandala and Kingsley Kapobe in high esteem, and believes they have great potential although he does have reservation of artists jumping on the abstract art band wagon just to appear trendy. “I think it is important for every artist to fully learn and understand the approaches of drawing and creating realistic art (representational images) before moving into abstraction or the creation of non-representational images. This is so because the understanding of realistic art concepts broadens the understanding of general art concepts and abstract art has a base in realistic art. I would therefore urge the youngster artists to get enough knowledge and practice about realistic art before going into abstraction,” he explains. He adds that the apparent boom in creativity among Zambian visual artists this year is because of the realisation of the entrepreneurial possibilities that art offers. 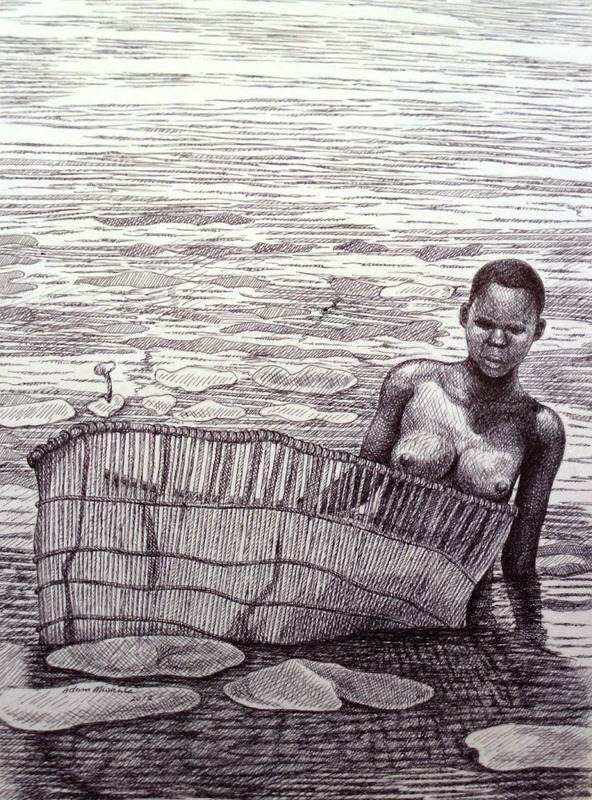 “In my opinion the boom on the Zambian art scene, can also be attributed to the fact that since the inception of the ministry’s direct responsible with the arts and culture (Ministry of Tourism Arts and Culture) artists have felt duty bound and have seriously taken it upon themselves to register their presence with the Government. For many it is no longer art for its own sake but a source of livelihood. Everyone is working hard; the upcoming artists are pushing for recognition while the known artists want to maintain their status and possibly move to another level,” he says. He describes the ongoing show at Ababa House as a success and says it is not easy to put up an art exhibition with so many art works. “But Lawrence and I managed. Further, the show opened as scheduled and there was a good crowd of viewers on the opening day. Students from Zambia Open University had a study excursion to the exhibition, the general public is still viewing and enjoying the work,” says Mwansa. On paper, Kanyama is a bustling urban constituency, complete with an honourable -- as they like to be called -- Member of Parliament from the ruling Patriotic Front in the name of Colonel Gerry Chanda who is also one of two Home Affairs Deputy Ministers alongside Colonel Panji Kaunda – yes as if one was not enough. But in reality, Kanyama is one of Lusaka’s largest shanty towns which also encompasses the infamous Chibolya, the city’s most notorious slum, a crime and drugs haven. It has inadequate sanitation, has floods every rainy season and has insufficient schools even though more than half of its 366,170 population were below the age of 18 according to the last census in 2010. Because of the latter, Kanyama-based artist Albert Kata, 53, took it upon himself to establish the Kanyama Art Centre which in its own way has been keeping children off drugs, off the streets and generally away from mischief. Situated within the premises of the Kanyama Youth Training Centre along Los Angeles Road near City Market the informal art school has served as a drop-in centre and youngsters are never turned away regardless of them having no artistic talent at all. “I started it in 1996, it’s registered with the National Arts Council as an institution that is teaching young ones. 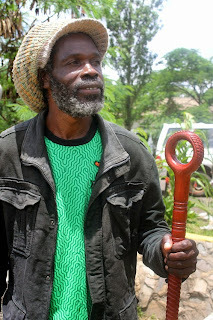 When I just started it was difficult because the management at the Youth Centre did not allow me certain things because I’m Rasta, I don’t know what people think when they look at Rastafarians,” explains the self-taught artist who personally imparts his artistic skills and not Rastafarian ideology on children of all ages. He conducts the lessons free of charge and currently has about 75 students separated into three groups, they come not only from Kanyama and Chibolya but also from John Laing and Misisi compounds. 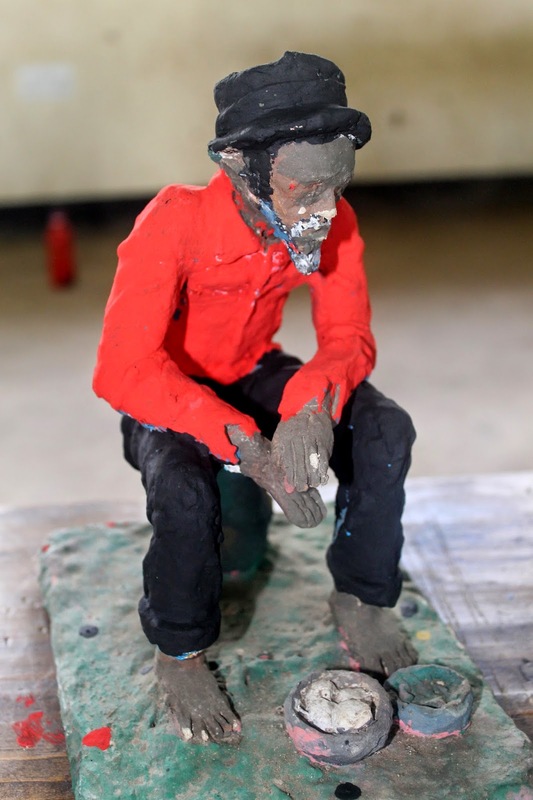 Kata has no specialised equipment but tries to supply the children with the most basic art materials such as paper and crayons which he purchases from his own earnings, money made from the art that he sells through galleries and to his own collectors. “I will not lie it’s a challenge and I think this year for some reason it’s our hardest year, I don’t know why. At some point we had some Danish volunteers who were funding the Kanyama Youth Programme Trust, we were not a part of the programme, but the Danes ordered management to support us whenever they could because they were passionate about art,” he says “Then more children started coming in numbers so I started teaching them, then after the Danish volunteers left, some volunteers from Finland started helping the programme, but it always depends on how much the volunteers love art, at times they will support by giving you a small grant or by buying my work then I put the money back into the art centre”. He complains that the only proper funding he has received was in 2,000, from Kepa Zambia, a Finnish Partnership Ngo Programme that awarded him money to teach children uninterrupted for three months. “At the moment, like I said, I won’t lie, things are a bit stuck, so far there are so many children coming, at times when they are chased from the gate by the guards they jump the fence so that they can attend art classes,” he explains. Kata has been using the Youth Programme’s hall facility when it is free but most of the times his students have to work outside. A few years ago he was able to build a classroom but it remains incomplete, it needs roofing as well as a door and window frame. All out of ideas, he is directly appealing to roofing companies such as Malata Roofing Limited, ClassEcon Roofing Africa or Safintra for assistance. At the moment he is not really concerned with equipment as it can be costly, but he would appreciate any well-wishers that can provide power tools for his sculpture class or a steady donation of cement from Lafarge perhaps so that he can use it to teach his students how to cast flower pots and garden decorations for sale. He estimates the classroom only needs about K20, 000 (approx. US$ 2,800) to be completed. “I really need support, even from government. If maybe someone can also help me create a curriculum because right now my students don’t graduate with a certificate, only a skill. At times when I see a student has stopped coming I know that they are ready and I am happy when I meet them elsewhere doing maybe a sign-writing job”, he adds. And Kunda Simwanza, 15, says he is always at the centre because he feels at home and it also keeps him from joining thugs. On average, children his age are in secondary school doing their Grade 9, 10 or even 11, Kunda, however, is in Grade 6 at Chibolya Community School, slightly over-aged as is the case with many shanty town children as their education is often interrupted because of the lack of school supplies. In fact it is not just the passion for art and the desire to keep away from vices that prompted him to join Kata’s students, but also wish to develop his skill to a money making level that can help support him through school. The up-coming artist is quite skilful too, during a visit to the centre, he was found creating miniature, paper Mache sculptures. With proper support there is no telling where the talented youngster may end up. Nevertheless, it can be argued that what Kata is doing for his community is more than what any chauffer driven, elected Member of Parliament is doing for their constituencies with regards youth empowerment or development. There is no need to even dwell on substantiating these claims because it is common knowledge that MPs hardly ever visit their constituencies between elections. Also, Kata is perhaps doing more for the development of the arts than what the entire Ministry of Tourism and Arts has done ever since it was streamlined as an entity by late president Michael Sata. This brings to mind the remarks of outspoken Chingola art promoter and stage actor Ackson Tembo’s in the April edition of his electronic newsletter Abetartsnews. Tembo, considerately asks how the arts in general have benefited from the streamlining of the ministry. Well to answer, Tembo’s question, one does not have to be innocuous about it, there is no need to use any hyphenated euphemisms, and the ministry should just be told to its face that it has done absolutely nothing in the two years of its existence. Why pretend, the ministry has not done anything, period. If at all it has, not even the slightest ripple has emerged on the surface of the collective arts scene or the creative industry. Unfortunately the arts are still not seen as a possible means for job creation and poverty alleviation. Therefore individuals making efforts such as Kata’s do not even know where to go, as those who are duty-bound to support them are constantly engaged in ceaseless bi-election campaigns when they are not mudslinging against rival political parties, which appears to be their daily occupation – not the running of ministries. There are also suggestions by some including Tembo that having a separate Permanent Secretary in the ministry specifically for the arts may help. But in reality this will mean the purchase of two new landcruisers among other amenities for the personal use of a PS who is likely to have no idea or interest in helping develop the arts. This PS like many others, might as well be picked from a cadre of slogan hurling jobseekers. So, no, another PS may not be the solution, enlightening the present one on the developing the arts as a responsibility would be the way to go. Here again one is tempted to reflect on the words of budding Chingola actress Memory Kasweshi concerning her views on the new ministry in an interview with Abetartsnews. “It is a positive move in the right direction, but I am yet to see what it will put on the table for artistes. My prayer is that it shouldn't be coined to be just the "Ministry of Victoria Falls". But one that will bring sanity to the arts,” stated Kasweshi. Well, Kasweshi may be on to something here, it might as well be called the “Ministry of Victoria Falls”, the purveyors Zambian tourism, particularly the Zambia National Tourism Board see nothing beyond the smoke that thunders at the Victoria Falls, equally the Ministry of Tourism and Arts, sees nothing beyond tourism. Anyway, we can only hope that individuals like Kata that are providing oases in their fields and communities whether they get help from those whose job it is to empower the country’s citizenry, continue with the good work. After all, there is no telling when oases such as Kanyama Art Centre will ever be watered, especially by a government body, because lack of political will towards the arts is hardly a PF predicament. It is very likely that the state of the artiste will never improve, regardless of whichever political party will be in power in the near or even distant future. When Lombe Nsama, 37, stands next to one of his paintings, it is difficult to connect the two, the man and the work, visually they have nothing in common. The bespectacled artist has a calm demeanour, is soft spoken and often smartly dressed. His work on the other hand has a somewhat carefree style and his brush or pallet knife strokes rather, give a sense of intense immediacy. 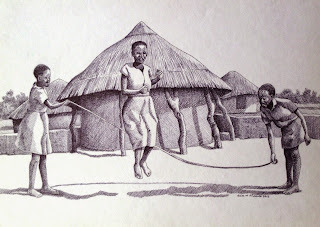 Because his work has been a staple in almost every important group exhibition in Lusaka since 2006 it is easily recognizable, especially that he appears to have maintained his style as well as subject matter, which is women and children. It is a surprising, however, how Nsama was able to maintain a continuous presence on the Lusaka art circuit seeing he was posted to the rural town of Katete in the Eastern Province as a teacher of English before he could set a foot hold in his artistic career about 10 years ago, what is worse is that administrative red tape would not allow him to teach art while there. “It bothered me a lot not to teach art because of one individual who was so ignorant about it. But for my art production, the opportunity provided the space and time to work and from the sale of artworks I managed to attend and participate in exhibitions. 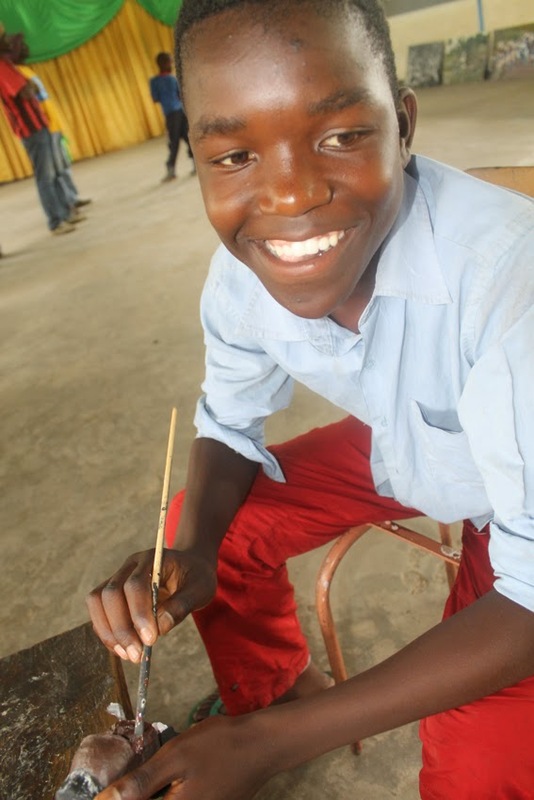 Each time I came to Lusaka I made sure I bought my art supplies,” says Nsama. 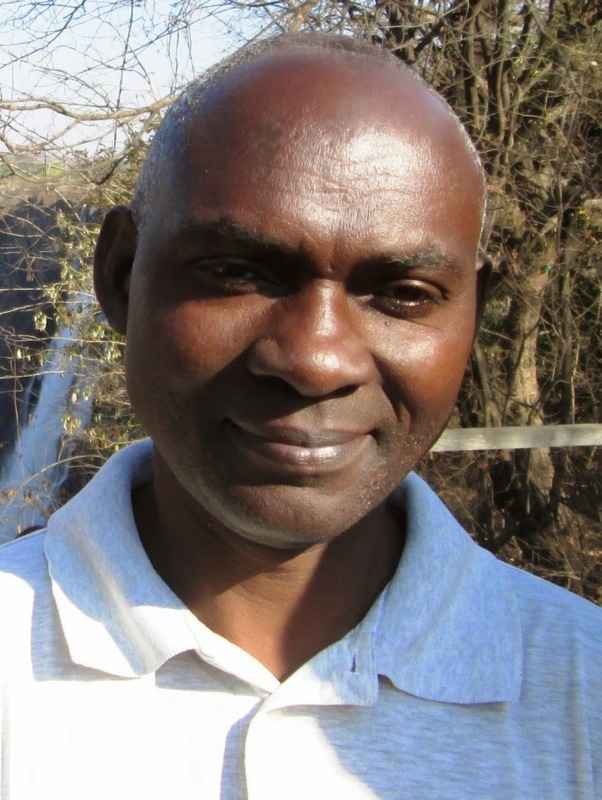 He is currently based in Lusaka and this time he is a teacher of art at Twin Palm Secondary School after a three year stretch in the same capacity at Matero Girls Secondary School. For just under 10 years, he has been involved with a small band of friends namely the sculptor Sydney Siansangu and the painters Paul Banda and Philip Sakala, all of whom are school teachers too. Siansangu and Banda are still practicing art professionally and showing in galleries whereas Sakala is the only one who seems to have fell of the circuit. Nevertheless, Nsama has decided to finally step out of his comfort zone and attempt to go it alone by having his first solo exhibition entitled Pursuit that is to open at the Henry Tayali Gallery in the Lusaka show grounds on Thursday 14 May at 17:30 hours. “The show gets its name from ‘pursuit’ for satisfaction. I want to be satisfied with a painting before I hang it in the gallery. I also get further satisfaction when people respond positively to my work. My friend Mulenga Chafilwa has always said no one tells us to paint what we paint or how we paint in those solitary moments in the studios. So when someone responds positively to your work it brings some satisfaction that you have communicated with the audience,” he explains. He will have 30 paintings on display which should be quite interesting because the public has never seen more than 5 of his works in the same space at one given time. One interesting thing to imagine is how the curators of the show are going to break the probable uniformity of his colour scheme and subject matter save for a few that might break the monotony such as Reading between the Lines. A rather naughty painting, it depicts what appears to be a girl bending over to peer at a book while she has her bottom cheekily pointing at the viewer. Subject to interpretation, it evokes thoughts of an adolescent girl who perhaps is staring blankly at the pages of a book while her mind is far away probably on a boy that she likes at school. Speaking of the thick daubs of paint. 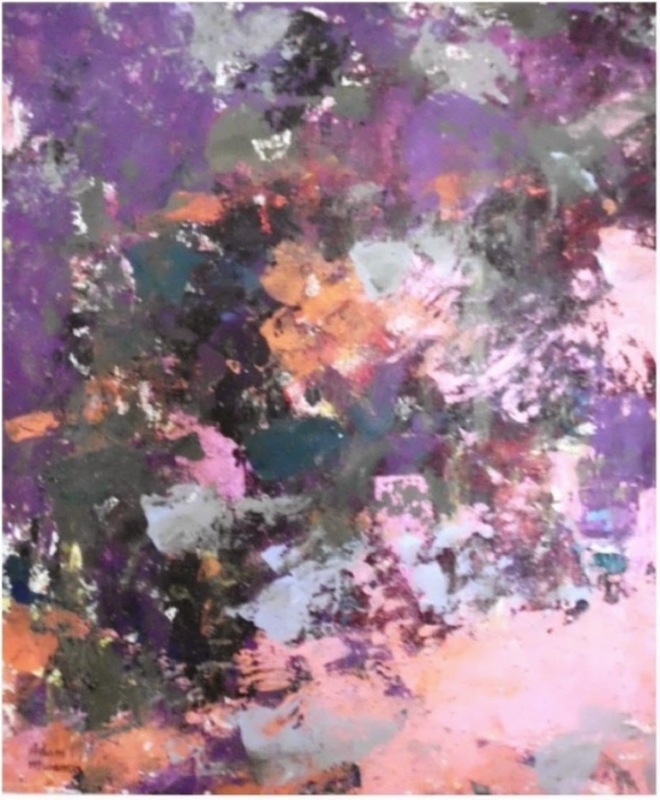 If you have been observing Nsama’s work over the years, you will find that he is now more generous with his application of paint often applying thick impasto. One gets the impression that he is no longer struggling with art supplies as a rural teacher but can now afford to be a bit more extravagant not only in the use of materials but also in the lavish use of colour. His colour has clearly become warmer, if not brighter, interpreting a possible peace of mind, a time of personal peace and plenty that one might suppose Zambian school teachers have been enjoying in the past few years as their fortunes vis-à-vis standards of living for some reason or another seem to have improved stratospherically. “Psychologically and professionally I feel am now ready. I can now show the people what I am pursuing. Pursuit for satisfaction and I believe they too will be satisfied,” says Nsama of the exhibition that will be on display until 1 June. Nsama continues to show exceptional promise among his generation of Zambian painters, clearly on his way to become “the” palette knife maestro and not only does he remain valuable as an educator, but he has also proven himself proficient as an administrator. In 2012, he was the last recipient of the Henry Tayali Award for The Best Artist in 2 Dimensions at the National Arts Council of Zambia’s Ngoma Awards. 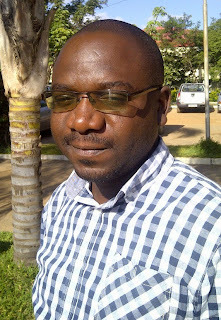 From 2010 to 2011 he was secretary of the Zambia National Arts Teachers Association, Lusaka Province. In 2011 he was Interim Vice National Chairperson for the Zambia National Visual Arts (VAC) Council and in 2012 he was Vice National Secretary, VAC. He was also involved in coordinating participants during UNICEF’s Zambia’s Longest Painting Workshop last year. He is currently upgrading himself academically and is pursuing a BA in Fine Art at the Zambia Open University. Meanwhile, submissions for the Abstract Mixed Media Art Competition 2015 themed African Freedom will be open from Monday to Friday next week, a prize giving ceremony and exhibition is scheduled for 30 May and entries are open to everyone from the age of six. Details can be obtained from the organizers at the Art Shop Limited at Ababa House, corner of Twikatane and Addis Ababa Road, Lusaka. All proceeds go to the Special Hope Network, a faith-based organization caring for children with intellectual disabilities in Zambia. In other news, early this week, the "Red Handed" artist Chipika Simanwe sealed a deal with Pavan Kumar Kottari the proprietor of The Spice, a restaurant off Chaholi Road in Rhodes Park which is now a permanent gallery for artist. The Spice joins artist Onesmos Mpande’s Footprint Gallery in Chalala as one of the new spots where contemporary Zambian art can be viewed in the capital.